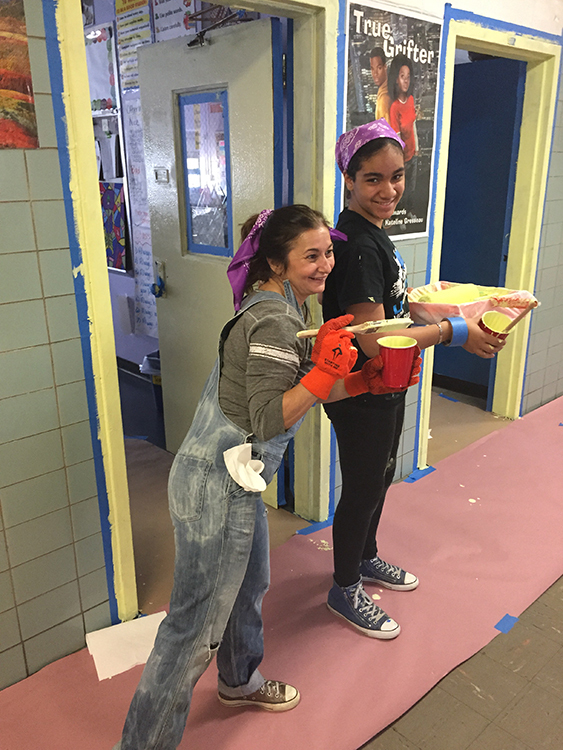 Publicolor is a youth development not-for-profit that has a multi-day, multi-year program continuum, which uniquely engages disaffected students in their education. 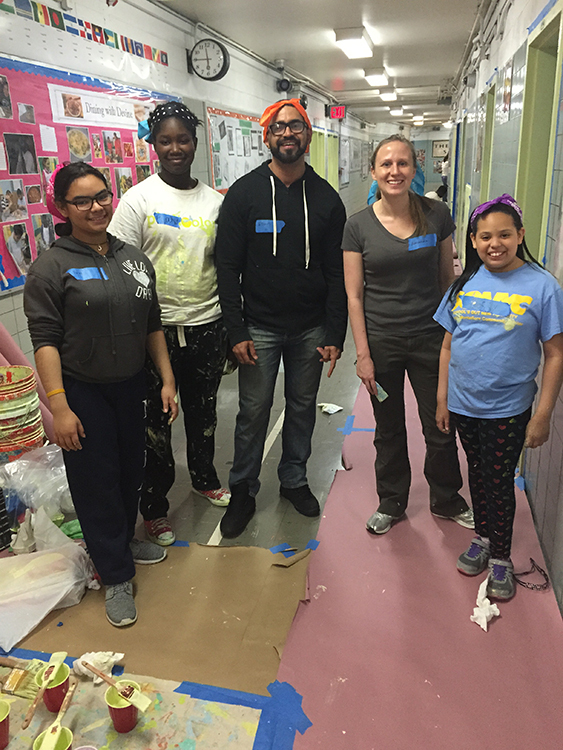 Their gateway program empowers students through commercial painting and an applied learning model to transform their institutional looking schools into warm, welcoming student-centric environments. Other programs involve students in planning and preparing for college and career, while teaching strong and transferable work habits. 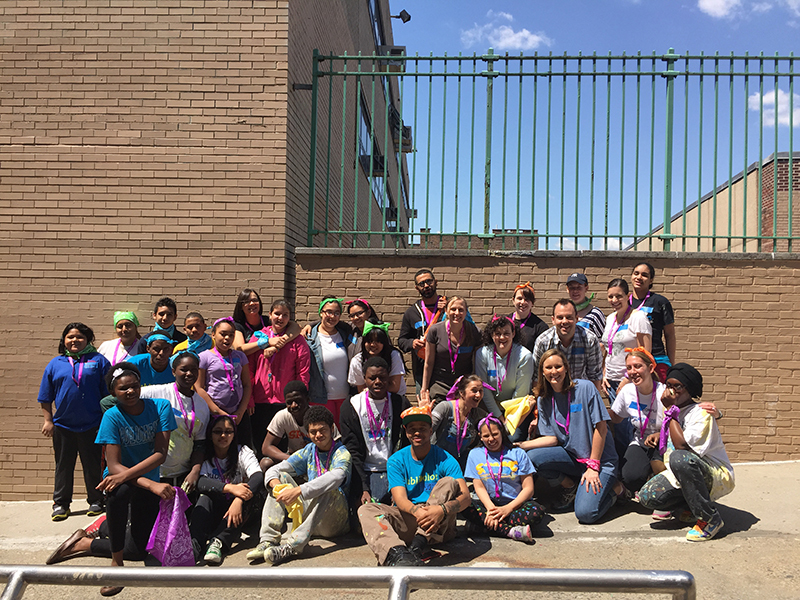 The Summer Design Studio teaches at-risk teens literacy and math through product design. S.A.T. 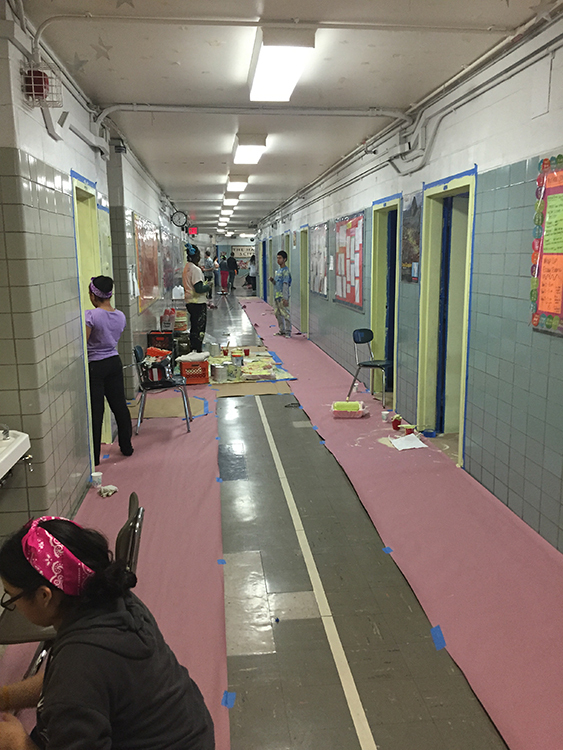 preparation and design classes are held on Pratt Institute’s Brooklyn campus so students can experience the reality of college, while their afternoons are spent painting under-resourced but vital neighborhood facilities. Suzanne Tick designs a collection of soft surface flooring products for Tandus Centiva. When you specify and purchase product from this collection for a project in education, you are helping contribute to Publicolor’s Summer Design Studio. Suzanne Tick, Inc. and Tandus Centiva have each committed to donate $0.10/sq. yd. from these sales, totaling a $0.20/sq. yd. donation. Antron® has also committed to donate an additional $0.10/sq. yd. when the Suzanne Tick Inc. design is made using Antron® carpet fiber. With over 40 STI designs to choose from, your K-12 and higher education specifications and purchases will positively impact the lives of Publicolor students.